This main section of this building was built in 1932 as Galva High School. It was built for a cost of approximately $250,000. The taller section to the left in the picture is the original '32 portion of the builing. The shorter section, to the right in the picture above, was added in 1952, as the junior high portion of the building. At the time it was built it took the place of the "North School", built in 1895. The "North School" then became an elementary school later to be renamed "F.U. White Elementary School" for Fred White, the man who was superintendent of the Galva Schools for approximately 40 years. This building maintained it's status as Galva's high school until the 1968 school year when the new high school, north of the site of this building was completed. At that time this building became Galva Middle School and remained as such until the 1991 school year when it became Galva Elementary School due to the closing of "F.U. White" for financial reasons. Since 1991 the Pre-Kindergarten and Kindergarten classes have moved back to the currently city owned, and since renovated Early Childhood Center, a.k.a. "F.U. White". 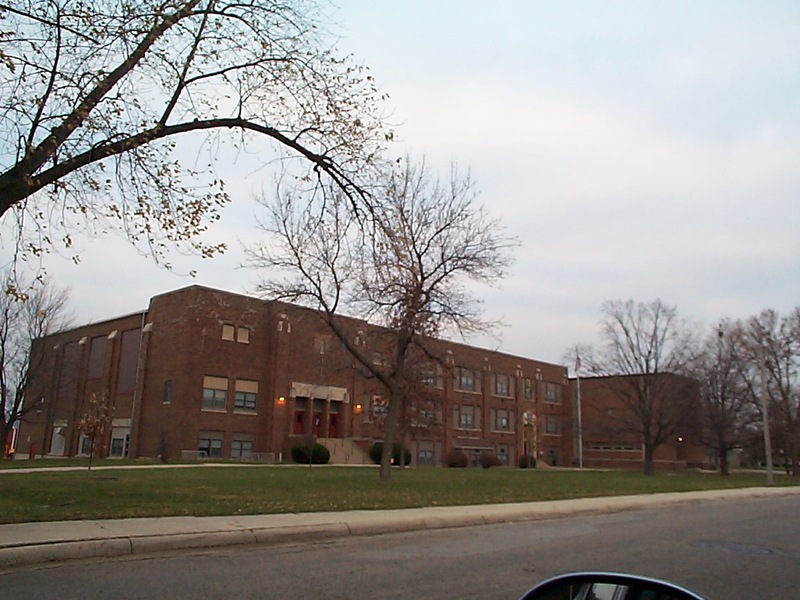 The current Galva High School is located on North Center Avenue in Galva, Illinois. It was built in 1967 and opened for classes in the early part of 1968. It was built for just under $1 million at the time it was built. This building is located at the North end of the football field and track which it shares with the elementary school. This building served grades 9-12 from 1968 till 1991 at which time it gained the junior high ( 7th and 8th grades). Overcrowding was a problem as a result of having approximately 120 mor students in the unaltered building, so in 1994/1995 an addition containing a new artroom, an addtional classroom, and two new bathrooms for the junior high was completed. Even with this addtional space there is currently a discussion concerning space and the consideration of consolidation occuring. F.U. White Elementary School was built in 1951 as a replacement for the three story North School (renamed F.U. White Elementary School in 1948). This building was closed in 1991 for financial reasons, but was later purchased by the city and partially renovated. It currently houses the Pre-Kindergarten and Kindergarten classes, as well as the Kids First Day Care Center. It is located to the east of Wiley Park.